Stack a rack of tiles to recreate the exact composition presented by your challenge with 100 challenges to complete for easy to hard this is an ideal fun game for introducing children to colours, shapes and co-ordination. Multi level logic game great for preschoolers. 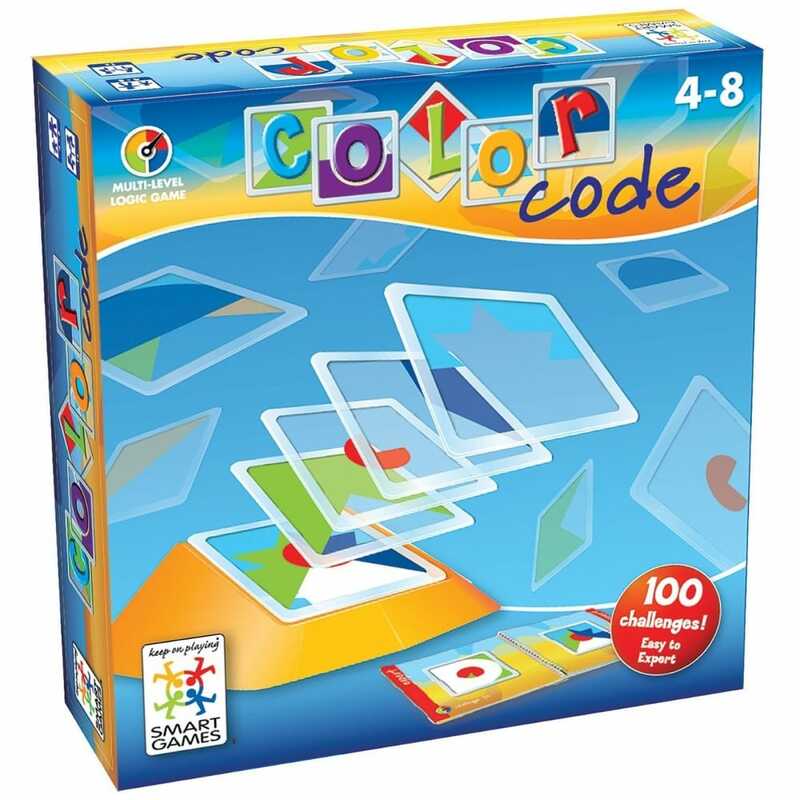 Colour Code uses 18 bold, coloured shapes, each on a see-through tile, pick a challenge and then stack a rack of tiles to recreate the same as your challenge. Contents: 18 coloured tiles, display holder and booklet.